Yes, I'm well aware that today is St. Patrick's Day and I am making Chili for dinner. We celebrated yesterday with the traditional corned beef. Today is a perfect day for Chili. Cold and windy. Sadly, I don't see winter leaving us anytime soon even with the official start of spring right around the corner! This inspiration behind this recipe comes from my Bacon Cheeseburger Sloppy Joe's. They are so good I figured why not make chili using the same ingredients. It was so so good! Brown ground sirloin, drain and transfer to the crock pot. Add remaining ingredients except for bacon. Cover and cook on low for 4 hours. Add bacon stir and continue cooking for another 30 minutes. 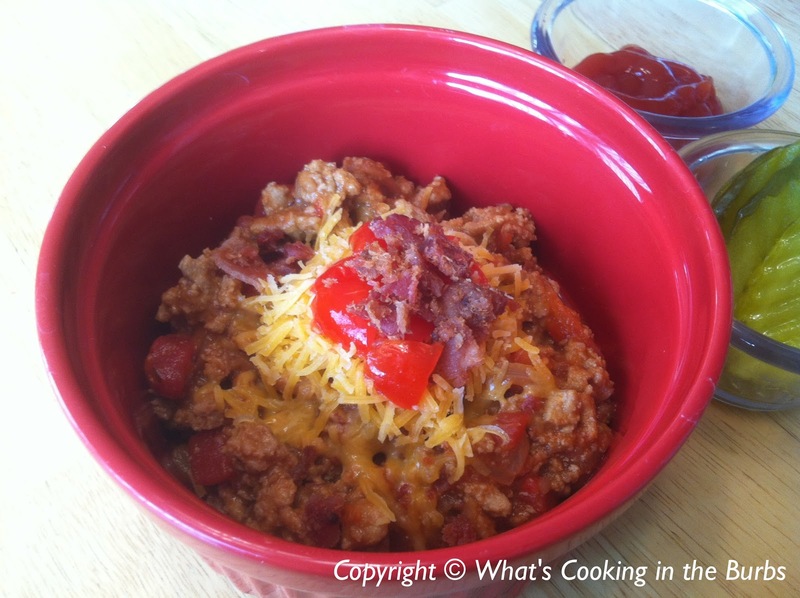 Top chili with chopped tomatoes, shredded cheese, and additional bacon. Enjoy! You had me at bacon! Looks delicious. Hi Bridget! This looks great! 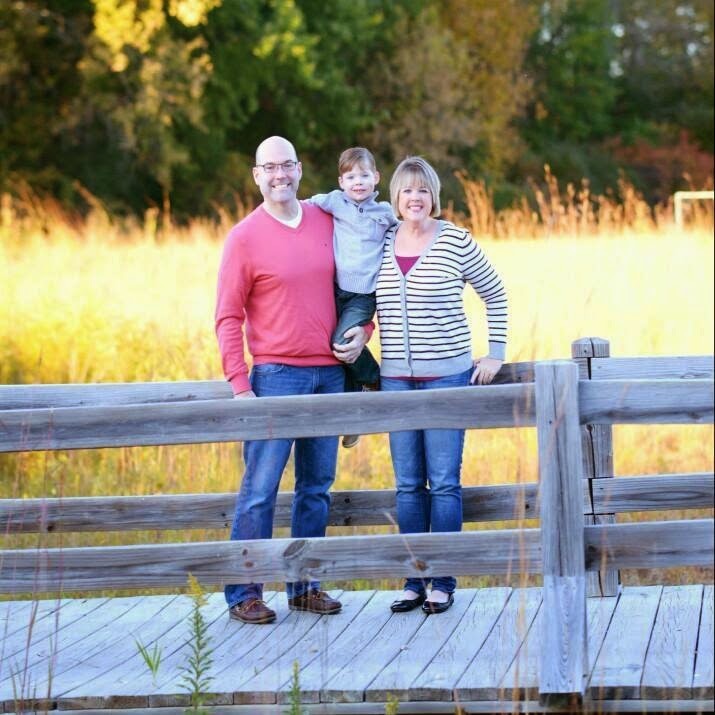 Thanks for Sharing at Show Me Your Plaid Monday's! Thanks for sharing with us at "In and Out of the Kitchen Link Up Party"
Bridget I do love your recipes! This sounds wonderful! I love that I don't need all the spices for traditional chili - and who wouldn't love the addition of bacon? Pinning this to make this fall, my chili season. :) Thanks for sharing at #GetHimFed Fridays! Oh, I LOVE the idea of this! :) I've pinned this to my Man Food board & cannot wait to make it in the fall! Thank for sharing with us at #GetHimFed!